A Single Member IRA LLC means that you use funds from a Self-Directed IRA to purchase 100% of an LLC that you set up via your professionals. Once set up, you then have control to purchase assets, make investments, and even write checks on behalf of the Single Member IRA LLC. With most Self-Directed IRAs, you would direct your IRA administrator to make investments, receive income, and pay expenses on your behalf. 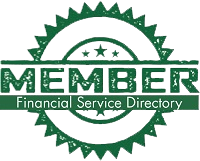 Is a Single Member IRA LLC Right for You? With these fantastic benefits you might be thinking “Why would anyone not want to do this?” With great power comes great responsibility. Single Member IRA LLCs with checkbook control have rules that need to be learned and followed. By working closely with professionals this can be accomplished. The main job of the manager of the Single Member IRA LLC is to protect the IRA by following the basic rules, after all it is your retirement account. American IRA reviews the vesting on all documents and works with your professionals to make sure it is correct. American IRA receives income on behalf of your IRA. American IRA team pays expenses per your direction on behalf of your IRA. American IRA provides online tracking of your account. The manager of the IRA-owned LLC is fully responsive for complying with IRS rules and regulations, including understanding prohibited transactions. Your self-directed IRA custodian and administrator completes and files all required documents to remain in compliance with the IRS. A common use for the checkbook feature of the Single Member IRA LLC is at tax sales, foreclosure bids, and tax liens. This is a basic list of the documents that will need to be prepared. American IRA requires that all Single Member IRA LLC documents be prepared by a professional. Self prepared documents are not acceptable. If you are a Self-Directed IRA investor and you feel this is the tool for you, click here for more information! At American IRA, we do this every day. We have simplified our process so that you can quickly and easily take care of your investment transactions. If you would like to open a new account or have questions about opening a new account, please contact our office 1-866-7500-IRA(472) or sean@americanira.com. If you are an American IRA Client and you have questions regarding the investment process, please contact our office 1-866-7500-IRA(472) or transactions@americanira.com. You are just a click away from financial freedom.